This statistic shows the revenue of the fastest-growing private security companies in the United States in 2017. 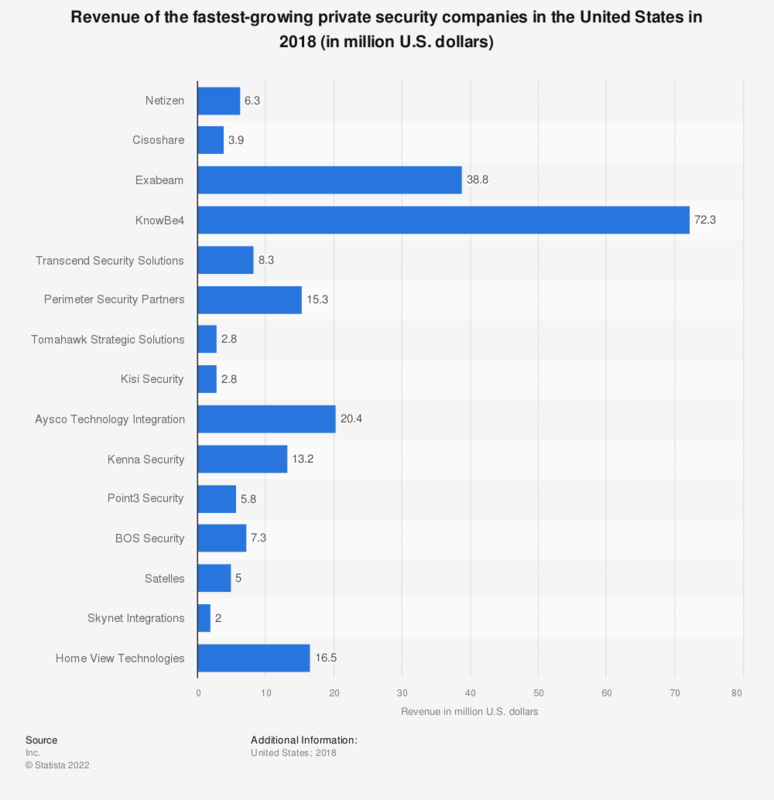 The fastest growing security company in the United States was Exabeam, which generated a revenue of 18.8 million U.S. dollars in 2017. * Fastest-growing companies by three-year aggregate revenue growth rate (2014 to 2017).